We are a leading Manufacturer of coal handling plant from Chennai, India. Owing to perfection and quality oriented approach, we have carved niche in the industry by offering an enormous grade array of Coal Handling Plant. Offered plant is manufactured using high-grade factor input and advanced technology by our skilled professionals. The efficient working of the plant allows it to treat raw coal into industry grade fuel. 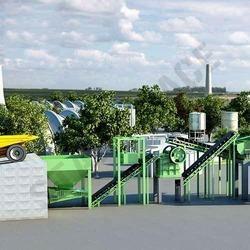 The plant follows dry and wet process depending on the raw coal quality. The dry process serves well for shaly-coal while a wet process is used to separate light and heavy coal by bringing a liquid medium as a separator. To ensure quality, this plant is stringently tested on various parameters. Looking for Coal Handling Plant ?